If you live near one of our pizzerias in Winston Salem, you don’t have to travel far to taste some Authentic NY-Style Thin Crust Pizza. Come visit us today and see familiar friendly faces at your favorite neighborhood pizzeria. Lunch and Daily Specials are available at each location. 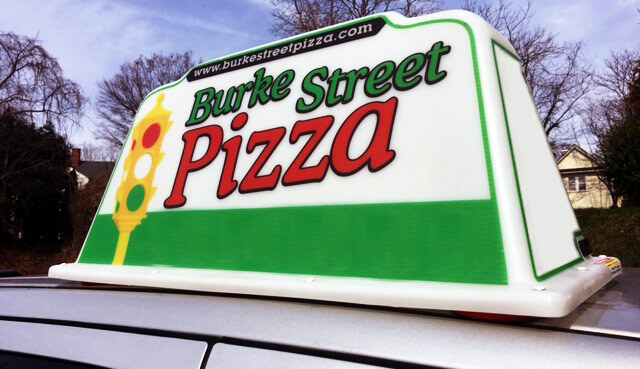 For specials at your nearest store, please click on the Burke Street Pizza location near you! Are you wondering what’s so special about our pizza that makes people travel great distances just for a taste? It all starts with our secret dough recipe, made fresh in house daily. 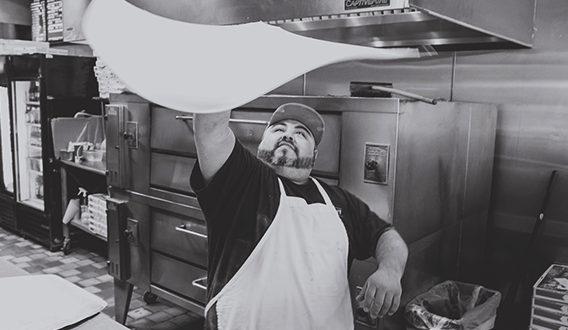 We hand toss our dough the old-fashioned way and then stretch it to form the perfect thin crust people love! We create our signature sauce with premium California-vine ripened, fresh-packed tomatoes. We use Grande Cheese for all of our pizzas. It’s made from the freshest, all natural ingredients and is regarded by the industry as the Best in Class. We only use the finest ingredients for our authentic NY-style pizza. Come taste the difference! Pizza by the slice is always available in your choice of cheese, pepperoni, or the specialty pizza slice of the day! Want to try something different today? How does a huge slice of Voodoo Chicken or our vegetarian friendly Spinach Feta pizza sound? Voted Best Pizza Parlor 10 Years in a row in a Smitty’s Notes Readers Poll! At Burke Street we have always focused on being a neighborhood pizzeria. To us this means consistently delivering superior quality and service to our customers. Our long-term staff works as a team to achieve these goals and exceed your expectations. 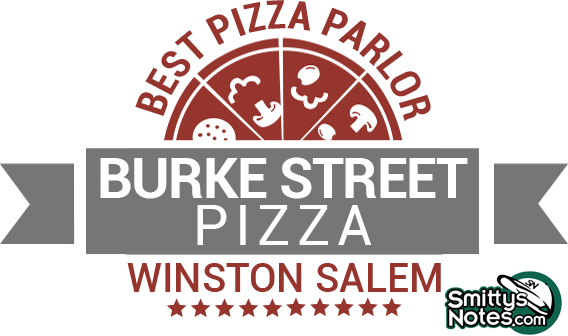 Burke Street Pizza has been a part of the fabric of Downtown Winston-Salem since early 2003. Started by a native New Yorker, this neighborhood pizzeria has won numerous awards, including Best Pizzeria (10 Years Straight!) and Best Late Night Food. Due to great demand, we’ve added two other stores, one here in Winston-Salem and the other in Greensboro. And we’ve maintained our close-knit team atmosphere which will make you feel welcome every time you stop in for your slice of New York-style pizza! Hungry for New York-style pizza but can’t get out of your home or office? No worries, Burke Street Pizza will be happy to deliver it to you. Just pick up the phone or order online here – it’s that easy! Burke Street Pizza will make planning your next business meeting, luncheon, or family event easy with our catering service. 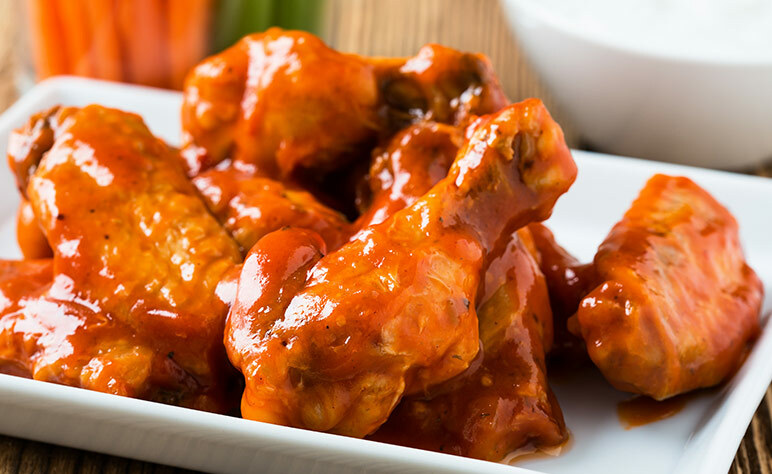 Rely on us to deliver your catering experience. You’ll have less to worry about and more time to enjoy great quality food!